A 'Budget holiday' does not sound the most luxurious way to travel. But by budgeting and being smart when it comes to money, it saves you from throwing hard earned dollar down the drain. Living in Kent, Dover Port is easily accessible and cheap to get to. 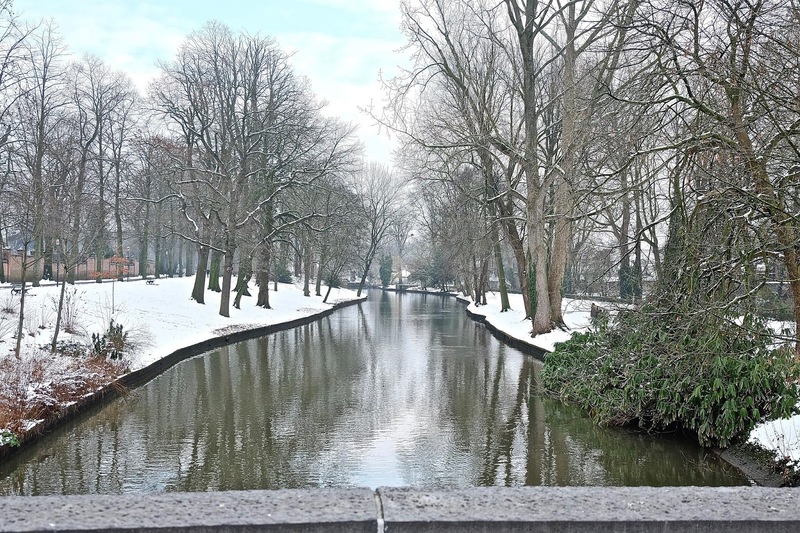 Making our journey to Bruges within an easy budget. When travelling by ferry the charge is per vehicle not per person, so the more people you travel with, the less it will cost individually. Travelling at off-peak times will also help save on money. Hotels are often much cheaper out of season, often for a reason, for instance, Bruges is very cold in January. However, we did get to see the city in snow and snowball fights were obviously inevitable. It was also very beautiful, the other downside in travelling in the winter months is potential rain, so packing umbrellas in advance is a good idea. When looking for a hotel or other forms of accommodation, shop around before settling with the first one that you see. Comparison sites can be misleading and all compete against each other, so shop about and find the best deal. Hold in mind that if you are only travelling for a period of two days, you do not need the fanciest accommodation there is, it will just be somewhere to wash and rest your head at the end of the day. Looking ahead to see what will be available or what kind of things you want to see or do in Bruges is hugely time effective. As well as being on a budget, if you are only travelling to Bruges for a period of two days, you want to be careful with your time. 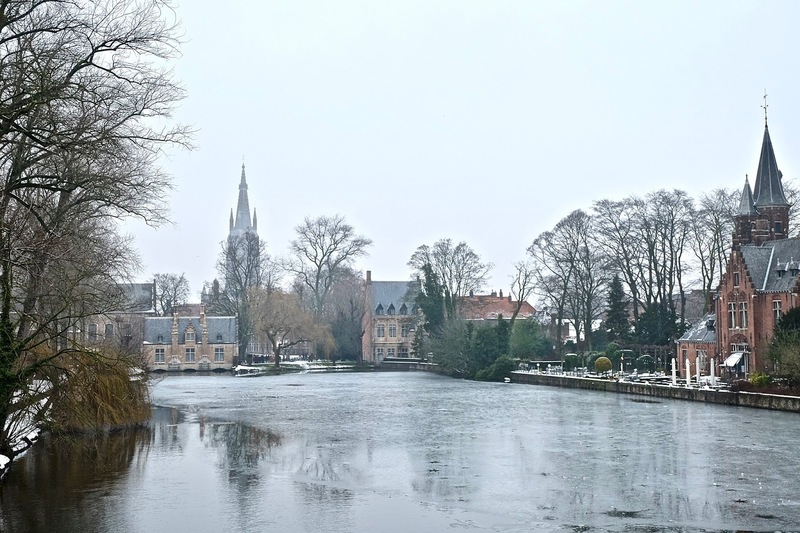 Bruges is a beautiful city full of history and plenty of things to do, there is a fair amount of tourist attractions in the city that will cost money, but there are also plenty of other things to do that are easy on the wallet. The Lake of Love runs through Minnewater Park and is a serene location. A popular attraction for couples due to its tranquillity and Lovers Bridge - situated within the park. Lovers Bridge it is legend that if you walk over the bridge and kiss your loved one, it will become eternal love. A stroll through Minnewater Park is free of charge and makes for beautiful photos. There are loads of chocolate shops in Bruges, and I mean, loads. Almost every corner you turn, there's a chocolate shop! Although, most of these shops sell a lot of the same chocolates, and they can vary in price from shop to shop. Most chocolate shops have their own homemade chocolates, however, the shelves are lined with a fair few Belgium brands that are equally as tasty! Just be conscious of the variation in price for the same product. When it comes to chocolate, we bought some Belgidor Cocoa Chocolate Truffles that were absolutely amazing and I would highly recommend! The Old Chocolate House hot chocolate is unmissable if you're visiting Bruges. Alongside their signature hot chocolates, they also serve traditional Belgium waffles. The hot chocolate is served in a huge cup and in my eyes was worth the money. Served with a biscuit and small milk chocolate on the side! In regards to food whilst we were in Bruges, we snacked and only really had two proper meals. And both of those were at Ellis Gourmet Burger. And the reason both those meals were at this Gourmet Burger shop, was because the food was absolutely delicious. Perhaps we should have explored other places to eat, but for what it cost, the food and the amount of food served at this restaurant was amazing. 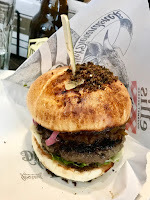 Another tip for your budget that we received from a local, was not to eat on the Markt as it is expensive and on the whole not overly brilliant. Sat in a carriage under a handful of blankets was a very cosy way to experience a tour of the city. The tour guide will point out historical landmarks and informs you of some of the histories behind the gothic architecture within the city. Although this was by far the most expensive attraction we invested in at €50 for the carriage ride, however, if you travel in a pair or group of four this obviously cuts costs. Whilst on the Horse Drawn Carriage Tour, our guide pointed out the Torture Museum which was something we had looked at online and were interested in visiting. As we were all students, out student discount was applied to the price of tickets which helped save some money. This attraction was not overly large but was informative and very interesting. There are loads of things to see and do in Bruges on a budget, the key is to think ahead, and make the most of your time!